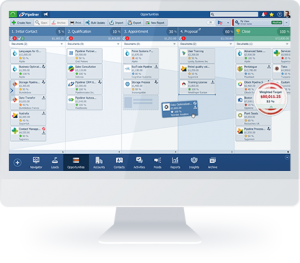 Pipeliner Automata empowers salespeople--and anyone associated with a company--to squarely face up to and deal with the complexity of today’s business. Automata was a work written by Greek mathematician Hero of Alexandria (c10-c70 A.D.). It was a description of machines which enabled wonders in temples by mechanical or pneumatical means. This particular work, two thousand years ahead of its time, is considered some of the first formal research into cybernetics. Cybernetics is the study of closed cognitive learning systems—specifically the study of how machines can be created to think and act as humans. The science of cybernetics is used to approach and understand complexity—and if there’s anything that is evident today and will become only more evident in the future, it is certainly complexity. In fact it could even be said that complexity is the raw material of the future. They actually make it complicated, and in so doing make it even more difficult to deal with. Neither of these unworkable reactions are necessary when cybernetics is applied. In cybernetics it is important to differentiate between simple and complex systems. Simple systems do not pose much of a problem in terms of control. The core question of cybernetics then is: How can the complexity of a system be brought under control? How can we control and regulate a system that is complex? Moving over into sales, we can readily see how complex the field has become. 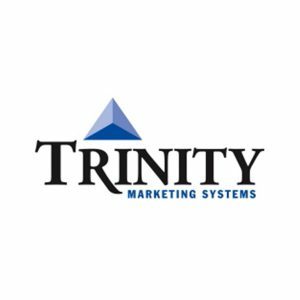 Where once there was simply a couple basic hats—a “salesman” and the manager—today we have field sales, inside sales, SDR sales, vertical sales, horizontal sales, and much more. Additionally, because of the digital age, we also have many more times the sales channels we once had. So we see that sales is truly a complex system, and will only become more so as time goes on. Interestingly, our legacy CRM competitors have always dealt with sales complexity as with number 2 above: they’ve made it more complicated. In so doing they have made sales next to impossible to truly bring under control. 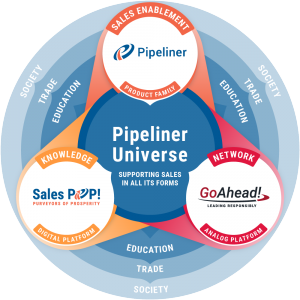 Of course, Pipeliner has taken the correct approach, and have applied cybernetics to sales. How? Beginning with our new, totally unique Navigator feature. A navigator is the crew member on a ship or aircraft responsible for keeping track of the ship’s or craft’s position at all times, and precisely mapping out its safe journey. A broader definition of navigation would be the activity of finding the location, defining the target and controlling the way there. And a deeper definition is the ability to map a way through the unknown and map the uncertainties, especially when the target is moving and the way is diverse. Today the job of navigator has become to a marked degree automated, especially with the advent of GPS technology. In today’s automobiles, it is completely automated. In Pipeliner we provide incredible, visual insights—but the user must understand exactly what to do with them. Now putting the user in the role of the captain, the Navigator now tells the captain (user) where to go: what dangers to avoid, what channels will get him there, the fastest routes, and other pertinent data. Like Pipeliner itself, Navigator is incredibly diverse. 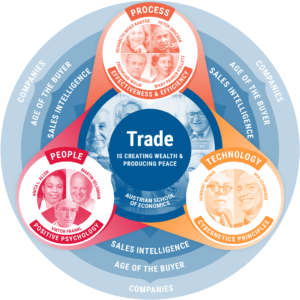 Therefore it is not just for the salesperson, but also for the sales manager, owner, accounts, customer service rep or anyone else who requires precise insight into their own and the team’s priorities. In no way does Navigator replace the actions and responsibility the user must take. But it helps users be far more proactive and far less reactive. They are no longer passive, but active, and able to see through the fog. Spread the word far and wide—the complexity of sales can be navigated! To help celebrate the breakthrough release of Pipeliner Automata, we have simultaneously released a brand new mobile version. You can now access the most essential Pipeliner features right on your iOS or Android Smartphone. As you might guess, since Automata is such an advance in its approach to sales, it contains a host of features in addition to Navigator. Be sure to check them all out! Pipeliner CRM is designed so that implementation and training (for administrators and users) happens faster than for most CRM solutions on the market today.